Last week, I witnessed a potent fantasy story come to an intense climax. Heroes took to the ramparts of an ancient citadel, joining battle against a monstrous foe that feasted on vengeance for a thousand years. It felt like the end of a journey, but the Warrior of Light could barely pause for breath before the nation of Eorzea cried out for aid once more. 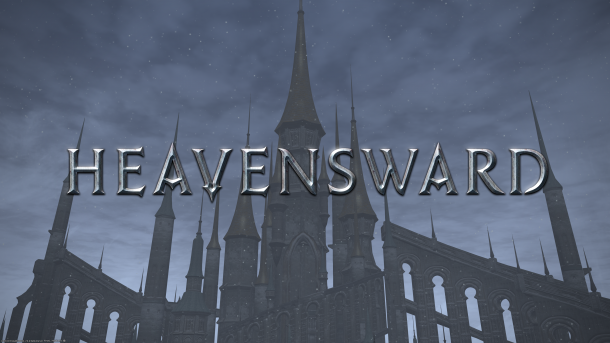 And so, with the end credits of Heavensward rolling in front of me, I was minded to look back on where the expansion began. I last wrote about Final Fantasy XIV when sharing my latecomer review of A Realm Reborn, but nine months and ten levels have passed since then. Even so, I have a jumble of screenshots and scraggy notes to remind me of the steps I took. 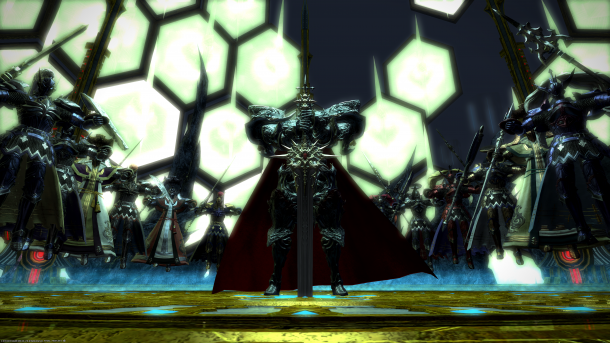 So here it is, my Latecomer Review of FFXIV’s Heavensward expansion. It’s the middle slice of the saga, with Stormblood rounding out the current content and Shadowbringers arriving in summer 2019. But, as I’ve only been playing since the start of the year, I’ve seen very few mechanical changes. As such, my review is mainly limited to Heavensward’s content, plus some of the new bits and bobs I’ve discovered along the way. 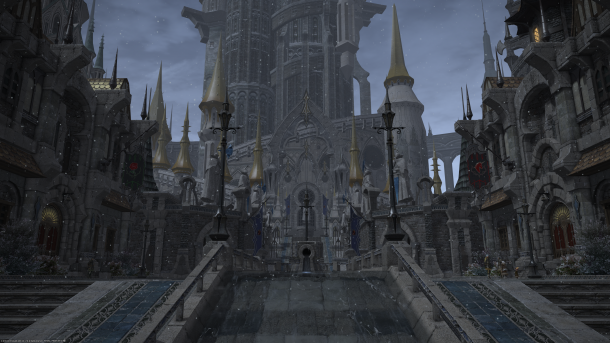 My adventure started with a breathtaking entrance into the Holy See of Ishgard, a towering stone-clad city that had only recently permitted foreigners to enter. The paranoia and tension is palpable as the nation struggles divided; some desperately want to help their neighbours to the South, while others demand focus on the thousand-year war against the dragons of Dravania. And yet, the Warrior of Light must thread this needle. On the one hand, the conflict with Dragonkind must be brought to an end. On the other, the Ishgardians need to be brought into the Eorzean Alliance to further protect against the Garlean Empire. What seems like a simple political task quickly dissolves into a complex blend of campaigns, as proud families and clandestine groups jostle for position. I’m then reminded of an even larger conflict between Hydalen’s Light and the Ascian Darkness that threatens to envelop the world. Before Heavensward, the Scions of the Seventh Dawn become scattered as they fled for their lives. 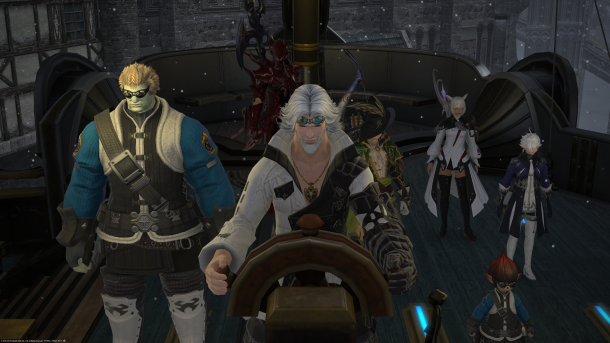 While everything else demands attention, there’s still a yearning to pull the merry band together and solve Eorzea’s biggest problems. After all, aught is always amiss. Each of these threads of conflict has their own beat, weaving through each other as the Main Scenario Questline progresses. This narrative richness is accompanied by improved storytelling – the scripts, locations, and voice acting are a significant step up from the base game. Jilted dialogue and clunky delivery are all gone. One of my other gripes with the original game was this sense of continually jumping around the world, as if I was the only Miqo’te working for International Rescue. 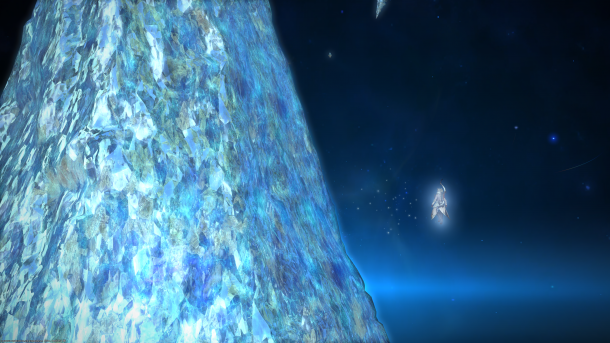 That’s also changed in Heavensward, with the Main Scenario taking a more linear approach. Voiced narration introduces each zone, emphasising the journey that I’m playing through. It means that the flow feels much more natural like I’m on an epic adventure rather than being a glorified firefighter. A grand journey needs a suitably impressive backdrop, and Heavensward never managed to disappoint. While it never quite manages to be jaw-dropping (the FFXIV game engine is starting to show its age), the various locations were constantly impressive. Ishgard’s sheer size and scale were immediately captivating, but the floating island archipelagos of the Sea of Clouds provided a light-hearted dreamscape to contrast with the cold bleakness of the city-state, and the ancestral lands of Moghome always managed to raise a smile. While the Dravanian lands served to propel the story forward, I also stumbled upon constant reminders to wider lore. Part of this was the abandoned city of Sharlayan, a former nexus of academics and scholars that has since been claimed by goblins and treasure hunters. 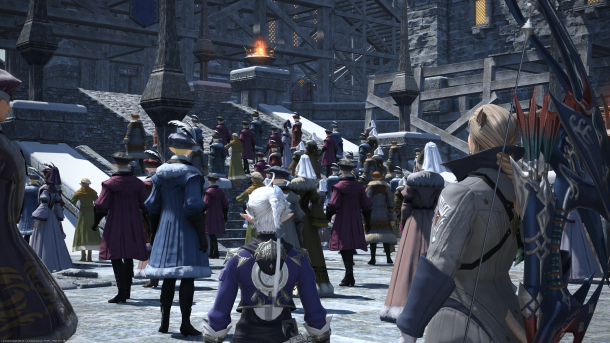 From a world-building perspective it made me feel as if Eorzea had a history beyond the immediate – there had been wide-ranging and calamitous change in the past, and there would likely be again in the future. And then, wider again, were the scattered remnants of the Allagan Empire. A highly advanced civilisation that disappeared thousands of years ago, it served as a constant reminder of just how far the world had fallen. 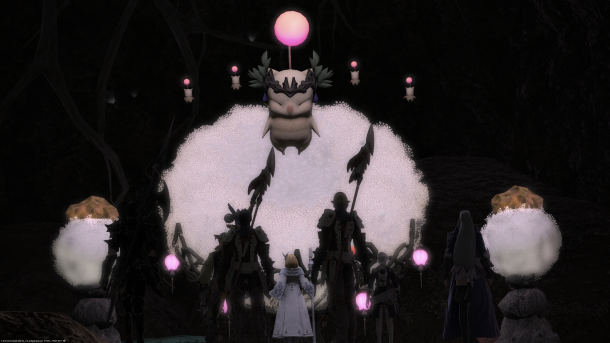 Towards the end of Heavensward, this ancient technology is showcased in terrifying splendour, making it clear just how morally dubious this once-proud nation was. It’s this multi-layered approach to storytelling, both in terms of plot lines and timelines, that made me feel that the world of FFXIV was one worth exploring and grappling with. I felt as if there’s always one more mystery to uncover around the next corner, and I was constantly hungry to devour it. And just as one enigma got resolved, further questions would emerge to pull me deeper down the rabbit-hole. One of my major gripes with FFXIV’s base game was that I sometimes had to complete a dungeon or trial (boss in a box) in order to continue my Main Scenario. Although this continues in Heavensward, it’s somewhat mitigated by a step up in quality. For the most part, dungeons are more visually engaging, although the content is still challenging to complete. What hasn’t changed is the queue time – a DPS player can still expect to wait half an hour for a group. Partly because of this, I also used this expansion to start levelling up a healing job. Even though my White Mage is still chewing through pre-expansion content, the queue times are significantly reduced and the experience is rewarding. Plus, because it’s all on the same character, I don’t feel like I’m wasting effort on a character that isn’t my main. My appearance in Ishgard also brought some unwelcome attention – guild invite spam. It’s because of this that I set up my own small collective, as it seemed the only way to block out the nuisance. I’m promising a house in the future, but for now I’m focused on ranking up the guild for more unlocks and bonuses. With all of this going on there was one element I almost completely neglected, and that’s continuing my Bard questline. Heavensward brought in a handful of new abilities, but without completing this I wouldn’t unlock any of them. Even so, my hunt for the Ballad of Oblivion was an enjoyable journey that helped to highlight how my chosen job is perceived in the world. Putting all of this to one side, there’s one facet of Heavensward that I absolutely loved, and that’s the mechanism for unlocking flying mounts. Instead of having some uncomfortable rep grind, each zone has a number of Aetheric Currents to discover. Some of these are hidden throughout the zone, while others require a quest or dungeon to complete. Once all currents are discovered, flying is unlocked for that zone. Personally, I think this piecemeal approach is fantastic when compared with some of the painful grinds found in other MMOs. Another thing that needed to be pointed out to me was a hugely efficient way of getting endgame ‘Shire’ gear. 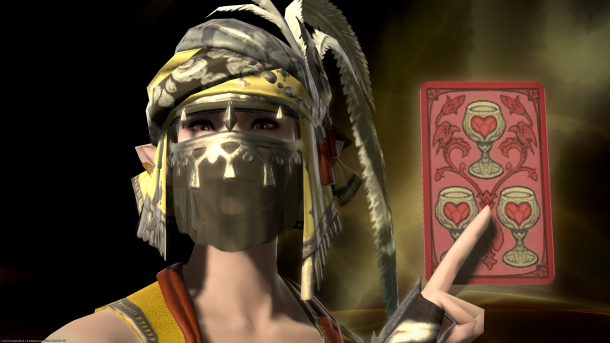 By running those same dungeons (and other content), I could collect tokens to get great quality gear that would be incredibly useful for the next phase in my FFXIV journey. And amusingly, I found that I already had a huge pile of Tomestones of Poetics with which to get started. Because my journey through Heavensward took six months or so, I also got the chance to experience a number of Eorzea’s holiday events. Whether it’s Valentine’s Day, Halloween, or Easter, they always felt like brief but fun diversions that included a fun themed instance and some great cosmetic items. I’m told that there are usually fresh rewards each year, which drives up participation. 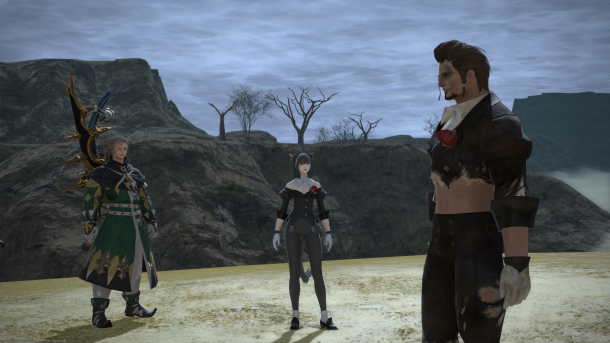 When I came out of Final Fantasy XIV: A Realm Reborn, I was in two minds. I’d fallen in love with the world, but I had some misgivings around clunky combat and awkward storytelling. Both of these have been addressed in Heavensward: story flow and delivery are much better, while the growing number of abilities means that there are more buttons to push and more choices to make. Plus, the job system means that I can swap to white mage or summoner when I don’t feel like throwing arrows around. 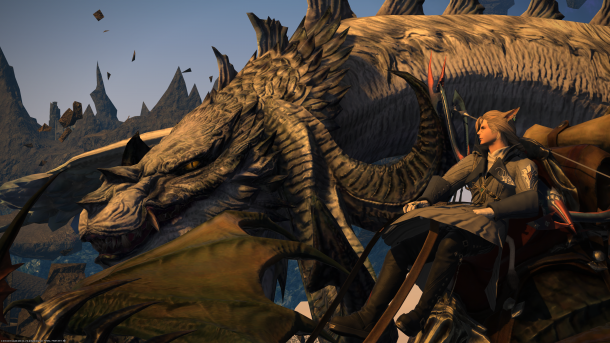 Crucially, for those who bought the base game but never continued into the expansions, Stormblood (the most recent pack) now includes Heavensward – and it’s regularly on sale for a discounted price. Even so, £30 for the bundle feels like good value for the amount of play I’ve got from it, even though there’s a subscription on top. If you’ve yet to try out FFXIV, a complete edition that includes the base game plus both expansions is only £5 extra (and is also regularly on sale). Is it better or worse than other MMOs on the market? That’s a tougher thing to argue. But it’s certainly a refreshing difference, with plenty of content for lore-hounds to chew through and more rewarding combat as you progress into the later levels. It also seems to be growing, if recent announcements about adding new data centres are anything to go by. And the more I’ve dug into the FFXIV community, the more I’ve found it welcoming and supportive. All in, I’d say that Heavensward is a solid improvement on A Realm Reborn, and is well worth the return trip to Eorzea. 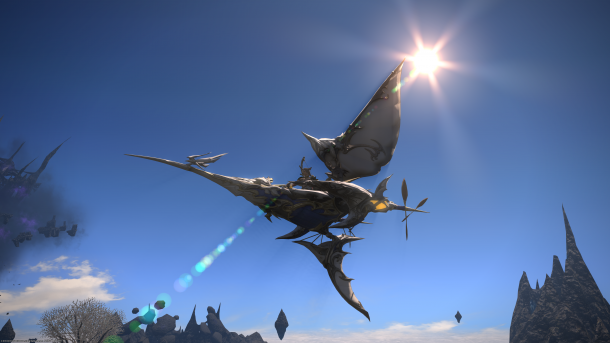 There’s only a few times where I feel like I’ve been on an epic adventure while playing through an MMO expansion, and Heavensward is definitely among them. For those just starting out in FFXIV and fighting through the content of that base game, I can honestly say things get much better. This entry was posted on Saturday, November 24th, 2018 at 12:39 pm	and is filed under Final Fantasy XIV. You can follow any responses to this entry through the RSS 2.0 feed. Both comments and pings are currently closed.